How has your week been thus far? Mine has been good just getting things together for the beginning of next month. 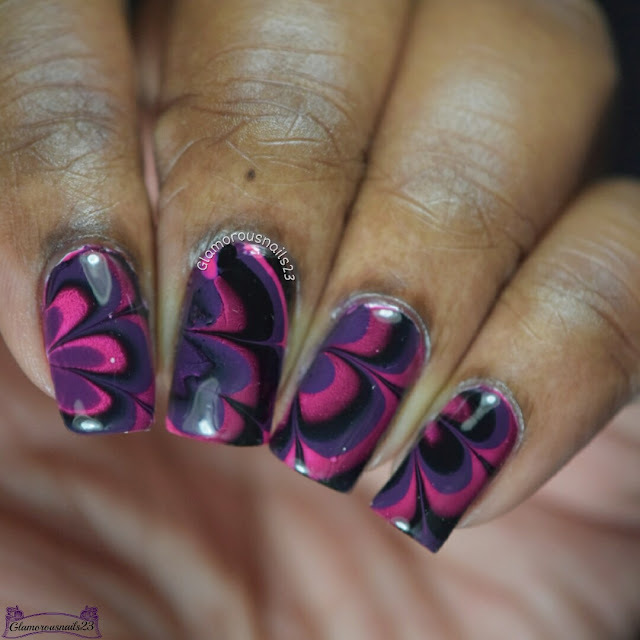 With getting things rolling again it's time for this weeks Watermarble Wednesdays post. 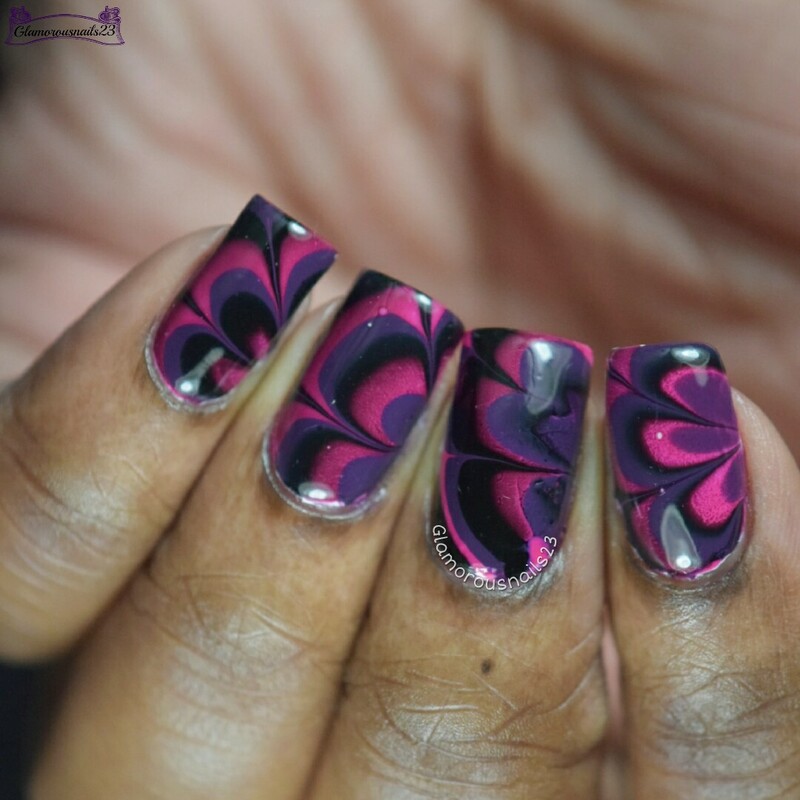 Along with other forms of nail art, watermarble is one of my favourites. See more after the jump! 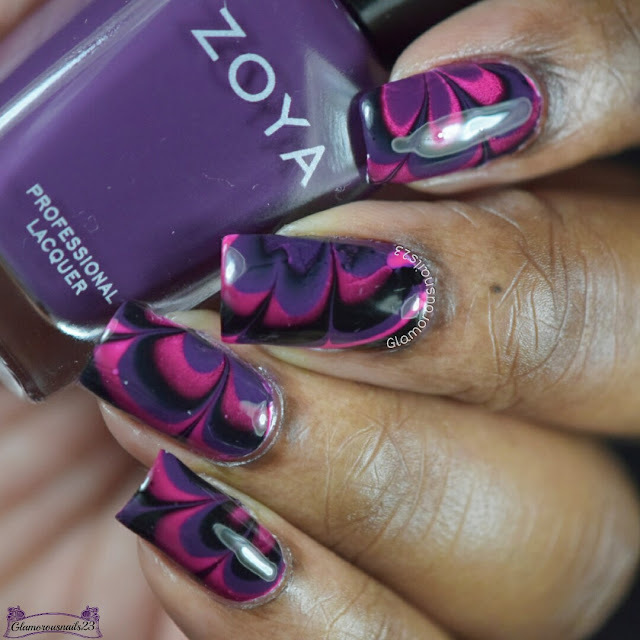 For this watermarble, I actually asked my daughter to pick some colours for me to do this mani with since I couldn't decide and she pulled out these three! Awesome job if I do say so myself. Plus they played nice with each other when it came to marbling. I couldn't be happier lol. These actually get me in the mood for fall for some odd reason.